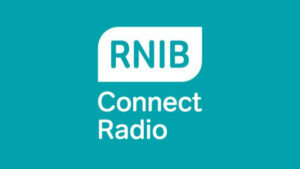 I am delighted to announce that from January 13th 2017, I will be presenting ‘Read On’, RNIB Connect Radio’s programme for those passionate about books and reading. As the new host of this well-established radio show I will continue to bring listeners all the latest news about books in all their accessible formats, interviewing authors, reviewing new books, reporting from festivals and events across the UK as well of course as keeping listeners up-to-date with the latest news from the RNIB Talking Books Library. 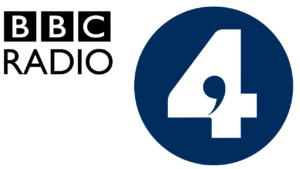 But as a blind author myself I am also keen to bring other members of the RNIB community into the show, to discuss what we are reading, what makes a good audiobook and how books can be made even more accessible. Talking Books were invented for ex-servicemen blinded in The First World War, they are now a major part of mainstream publishing. But with eight decades worth of accessible books at our fingertips RNIB members have a breadth and depth of reading that is unrivalled – and a voice that needs to be heard. ‘Read On’ is broadcast every Fridays at 1pm and repeated on Sundays at 2pm and Mondays at 6pm. With an audience of 154,000 listeners RNIB Connect Radio is broadcast on FM, via your TV on Freeview Channel 730, on-line at www.rnibconnectradio.org.uk and the programme is available as a podcast on iTunes. I look forward to welcoming you to the show. I’ve heard it so often that it shouldn’t still bother me, but it does. As if somehow this makes the ordeal of sight loss so much better. I’m tempted to reply; “Oh, do you think zombies feel happier knowing they’re not completely dead?”; but instead find myself explaining, for the umpteenth time, that, like 97% of those registered blind in the UK, I have a little, residual vision – vision that fluctuates depending on how bright it is, or how tired I am. Worse though is the incredulity I’m met with as a blind person doing anything visual. Notwithstanding my pebble-thick reading glasses and the array of light-emitting electronics I carry, I’ve been made to feel that a blind man trying to use his eyes is a fraud. Not that the word “blind” discourages stereotypes. Quite apart from its pejorative association with naïve or wilful ignorance, its very definition confers the total inability to see on all those it describes. The alternatives aren’t much better: “partially sighted” or the archaic “purblind” simply don’t cut the mustard. And the more modern “visually impaired” rings hollow with the embarrassment of whichever committee first coined it. And to add bureaucratic insult to injury its two subsections – “sight impaired” and “severely sight impaired” reinforce the impression that sight loss needn’t be regarded as serious until it reaches a certain level. I’ll confess I was amused the first few times I heard myself described as a VIP, or visually impaired person. But the happy coincidence of dual meaning has worn thin, becoming as predictable as comments about my lack of complete blindness. So I’m asking listeners to help compile a new lexicon of meaningful words to describe how we want our sight loss to be seen. To start the ball rolling I’m proposing “occluded” – meaning obstructed, particularly in terms of an aperture. It sounds a bit like “ocular”, making you think of the eye, and sits somewhere between included and excluded, reflecting how many of us feel. In meteorology an occluded front is formed when a cold front overtakes a warm one, often causing unsettled conditions. Now there’s something I can relate to!